Dr. Lynsi Clinger focuses on your family's wellness with a natural approach to health care. With an emphasis on pregnancy and pediatrics, we want to make sure that you and your loved ones can live the life that you deserve. Before discovering the power of chiropractic care, Dr. Lynsi used to suffer from debilitating headaches. Her husband used to get sick frequently before becoming a chiropractic patient. Findlay Chiropractor Dr. Lynsi is passionate about getting people healthy and keeping them well. As a member of the International Chiropractic Pediatric Association, she has studied extensively to provide families with outstanding natural health care. Are you interested in finding out more? Contact our practice today to schedule a complimentary consultation with Dr. Lynsi! You'll sit down together to discuss your concerns and find out what we can do for you. We have same-day appointments available. You brush your teeth so that you don't get cavities. Your spine can decay, just like your teeth can. But what do you do to keep your spine healthy? Too often, we put our health on the back burner. Kids are getting diagnosed with serious conditions with an alarming frequency. 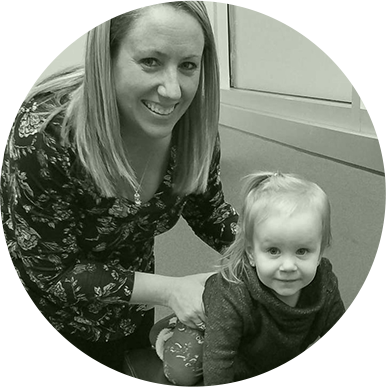 At Clinger Chiropractic Center, Findlay Chiropractor Dr. Lynsi Clinger wants to make sure that your children are smiling, laughing and enjoying life again. Dr. Lynsi is passionate about making sure children and expecting moms experience the best of health. In our kid-friendly environment, you’ll feel like a member of our family the moment you walk in the door. With our holistic approach, you’ll regain your health and be able to stay well in the future. It’s our mission to provide the community with the highest quality chiropractic care at an affordable price. We treat you as the unique individual you are, assisting you in reaching optimal health so that you can live the life that you deserve.